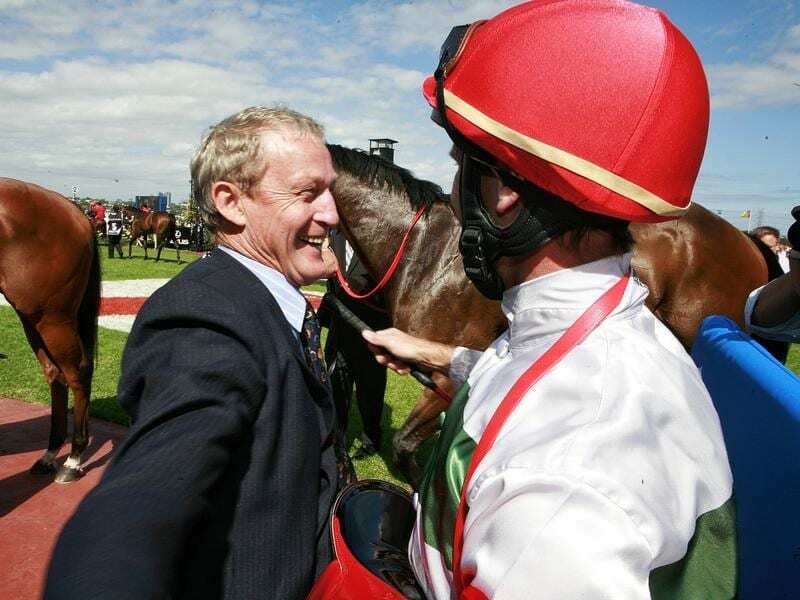 Trainer of superstar sprinter Hay List, John McNair (l) has died after a short illness. Group One-winning trainer John McNair has died after a short illness. McNair is best known as the trainer of super sprinter Hay List who spent much of his career chasing and challenging Black Caviar. She remained unbeaten with the gallant Hay List second to her four times at the highest level but winning the Group One All Aged Stakes, Manikato Stakes and Newmarket Handicap in her absence. One of his most memorable performances was in the 2011 TJ Smith Stakes when he laid it down to Black Caviar and momentarily looked as if he might beat her until she moved past him to win by almost three lengths. After moving to Sydney from Western Australia in the 1990s, McNair became noted for his deeds with stayer Ears Ronny and the incomparable Mustard who raced until he was 14. Hay List suffered leg problems throughout his career, but McNair, an old school horseman, managed to patch him up time after time until the gelding succumbed to the hoof disease laminitis in 2015. Glyn Schofield was Hay List’s regular rider and posted a picture of the horse and his trainer on Twitter. “You gave me such great memories. Sadly these two are no longer with us, but I bet that they’ve already met up again. So sad you’re gone but so lucky to have known you John. RIP mate” Schofield said.